Hotel is located at the E7 road Gdansk - Warsaw, just 2 kilometers from Plonsk. The hotel offers clean, tastefully decorated rooms. We have 15 rooms, including singles, doubles and triples. All rooms are equipped with private bathroom and TV. The rooms are characterized by a high standard. Our hotel rooms offer practical advantages when organizing events - after the banquet, you can invite your guests to spend the night at the hotel. Thanks to its convenient location, the return to Warsaw will also not cause any problem. 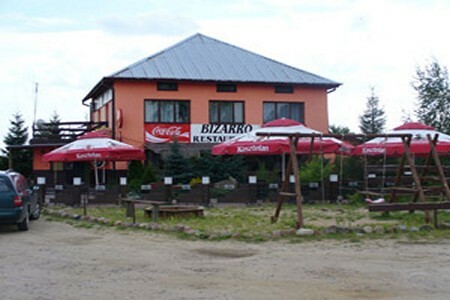 The hotel has a restaurant that offers delicious breakfasts, lunches and dinners. We specialize in Polish cuisine. Our food is fresh, tasty and filling. The hotel's banquet hall can host a variety of events. We provide full catering, including alcoholic and non-alcoholic drinks.